There’s been a gaping hole in the U.S. car market since 1991, a hole that is sorely felt by many enthusiasts but probably barely noticed by most consumers: there are no French cars for sale. As a lover of the quirky glorie that the French bring to cars, it’s exciting to hear that PSA Peugeot-Citroën is considering a return to America. We haven’t had Citroëns sold in the U.S. since 1974, and no Peugeots since 1991, so this would be one hell of a comeback. PSA has maintained a little outpost in Detroit until 2013 just to keep an eye on the US market, so the decision is not totally out of the blue. The most likely candidate for a U.S. re-entry would likely be PSA’s DS brand, which is an upmarket variant of Citroën, like Infiniti is to Nissan, or how Amati almost was to Mazda back in the ‘90s. The DS brand is already selling in Europe and China, and they make some striking-looking cars I’d personally love to see here. Oh, and the Cactus! I really hope they could find some way to bring the Citroën Cactus over here, too. Also interesting to note is that the two markets PSA is considering are the U.S. and Iran. I’d love to see their head-to-head chart of pros/cons for the U.S. and Iran. 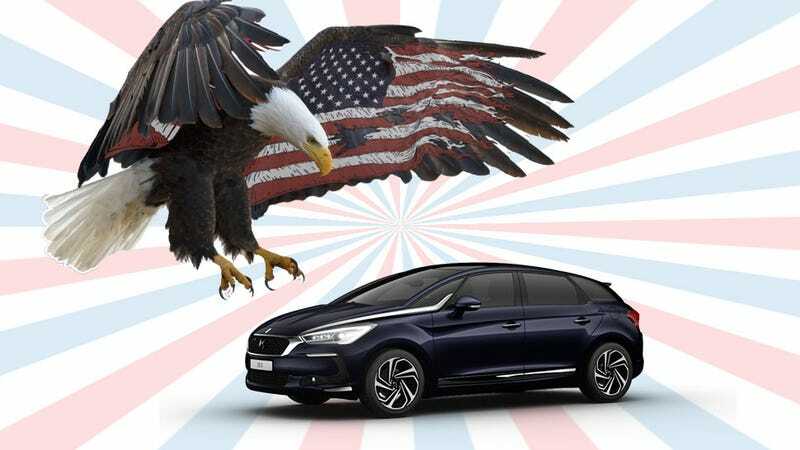 Of course, there’s lots of hurdles to launching a new brand in the American market, and there are no more Citroën or Peugeot dealers left, of course. All their competitors have dealer networks and manufacturing in the U.S., so the Frenchmen would have an uphill battle there. They could try to partner with an established U.S. player – remember how well that worked with Renault and AMC? Chrysler needs cars to replace the 200 and Dart, right? I personally would love to see Peugeots and Citroëns back in the U.S., even if it is a long shot, so I’m going to figure out how to hope in French.